Laser light generated by low-powered (cold) lasers has recently come into use as a non-surgical hair restoration treatment in Delhi for pattern hair loss. DERMACLINIX offer LLLT which utilizes a highly effective combination of red laser (655nm) and LED light diodes. LLLT is among one of the very few non surgical treatment modalities that has been approved by FDA (2007) for treatment of hair loss. LLLT Hair restoration treatment is also called as Red light therapy, Cold laser, Biostimulation, Soft laser and Photobiomodulation. It is suitable for both men and women suffering from androgenetic or other forms of alopecia, like diffuse and spot baldness. It is also given to patients so as to improve the hair growth after hair transplant. It is painless, safe and works by increasing the flow of blood in the scalp. DermaClinix is recognized as the best clinic to get an effective LLLT treatment in South Delhi. We offer LLLT technology which is designed and crafted to effectively cover the scalp. 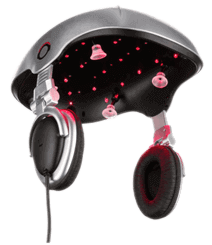 The inner helmet canopy is designed to conform to the contour and curvature of the scalp, ensuring consistent and equal distribution of both low-level laser and LED lights for optimum results. Patient being treated for hair loss sit comfortably under the lasers as it gently delivers the phototherapy to the scalp. There is no pain or discomfort from the therapy-some patients do report some "scalp-tingling". In comparison to laser combs and brushes which are neither hands-free, nor provide full scalp coverage, our LLLT technology is Hands-Free with No Manual Movement giving Freedom to Incorporate Additional Activities like listening to music. Hair growth using LLLT is not a one-time ‘fix’ for hair loss. It must be repeated at intervals to maintain results. Typically 3 sessions per week for half hour is given for approximately 4 to 6 months to reverse hair thinning/loss, and effectively grow new healthy hair. Once hair growth is achieved, a ‘maintenance’ schedule of 1 to 2 sessions per week is strongly recommended to maintain new growth, and keep the hair looking healthier, fuller, and more vibrant. Stimulate the production of energy at the cellular level leading to an increase in cell metabolism and the health of blood vessels in the scalp for thicker, supple and more durable hair shafts. Stimulate the sebaceous glands for silkier-looking hair. Increase melanin production in the hair follicles, darkening gray hair. Dermatologists who use LLLT in a treatment plan for a patient’s pattern hair loss have often noted that LLLT is more effective when used in conjunction with other medical therapies such as minoxidil or finasteride.